The year is 1974. A 26 year old with three years of umpiring experience in East Hartford joins the WHYBL as a volunteer umpire in the Minors. His name is Ed Czapla and he has held numerous roles in the WHYBL over 42 years and now prepares for a comeback as a Major League scorekeeper for Exchange. Over those 42 years, Ed has touched the lives of many players, coaches, parents, and volunteers. 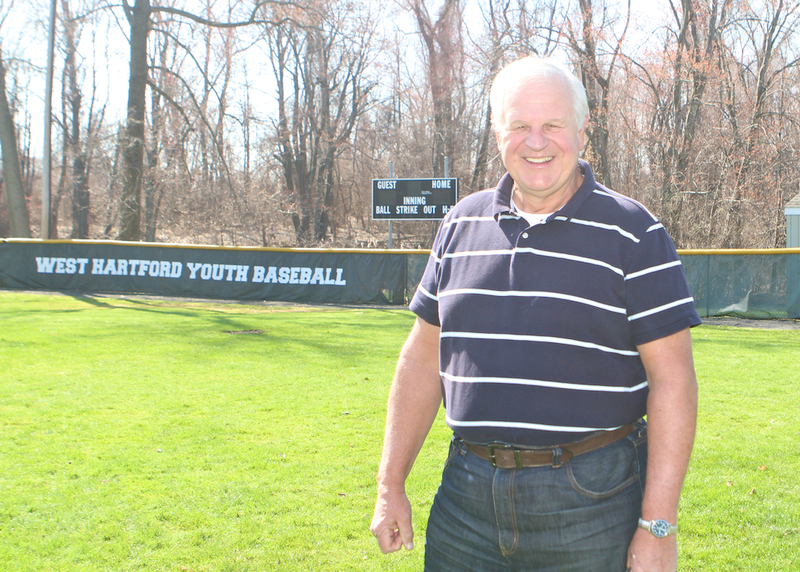 Always quick with a smile and the kindest man you could meet, Ed is a living legend within the WHYBL and in West Hartford. When did you get started in the WHYBL? What was your first position? How old were you? 1974 as a volunteer umpire in the Minor League. Previously, I had umpired in the East Hartford Little League from 1972-1974. How and why did you get started volunteering – even though you had no kids? I loved the game and was interested in helping kids with learning the basic skills and rules of the game along with helping them learn the meaning of winning, losing, and sportsmanship. Take us through the teams you have managed over the years? After umpiring, I was Co-Manager with Hank Carlson of the Bridlepath Buccaneers (Minor League) for two years (1978-1979). We then became Co-Managers of Talcott Transmissions from 1980-1986. After Hank decided to retire, I continued to Co-Manage Talcott with Jack O’Keefe from 1987-1992. Take us through your continued involvement with the League after you finished managing? After retiring from managing, I became Vice President under Chuck Gagne in 1991-1992. I then assisted with setting up a little concession stand on the top of the hill at Wolcott Park which eventually led to the formal Concession Stand. I also assisted at the annual Major League Tryout, Draft Night, and Jamboree Day. I was instrumental in the creation of our All-Star Travel team in 1991. After Farmington and New Britain did not invite us back to their tournaments because we were not affiliated with Little League, we found tournaments in Windham and New Hartford. In 1991, we lost three straight games in Windham, but ended up winning seven straight games after losing our first game in New Hartford. In 1992, we won both tournaments. The resurrection of the Travel Team ultimately led to the West Hartford All-Stars participating in a week long tournament in Cooperstown, New York. In 2013, I became the Scorekeeper for Goldberg’s Bagels in the Minors working with Brian Samela and I will be moving up to the Majors with him on Exchange. Describe the experience of coaching your sons (Chad & Jamey) in the Majors? to catcher Mike Cosgrove who tagged out the sliding runner to preserve the 5-4 win and the Town Championship. What are some of your favorite memories of coaching? Any specific games? Participation in 2 President Cup Championships and 4 Town Championships (Talcott was known as the “Team of the 80’s”) Chad’s first home run at Norfeldt Field. Jamey’s throw to win the 1991 Town Championship. Watching deaf parents hugging and kissing their son at the end of a game in which he hit a home run and came on in relief for the save. Participating in the Town All-Star games and Travel teams. Watching an Exchange Club player hit his third home run, rather than intentionally walking him. This enabled Bob Paolitto to win the Town Championship. What are the biggest changes you have seen in the League over the years? Addition of the Training and Instructional Divisions to help players start and learn the game earlier. The influx of new managers and coaches (including many former WHYBL players) to replace League veterans. Change from 46/60 to 50/70 at the Major League level. Anyone in particular you would like to thank? High School. I would especially like to thank my wife Nancy for all the sacrifices which she has needed to make over the years just so I could enjoy doing what I enjoyed best over those years.